Our Engineers are trained to a high standard to ensure that you get the best service. See what we can do for you today or contact us to talk to one of our friendly staff! To know more about our services and talk to our experts about what’s wrong with your device, you can reach us through email or give us a call for quick assistance. We care for our customers and their devices and we aim to provide a quick, inexpensive and reliable repair on smartphones and tablet computers. 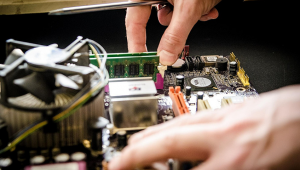 Using high-quality components, our repairs are second-to-none. We also repair video game consoles from the top 3 manufacturers. Sony, (Microsoft) Xbox and Nintendo consoles repaired here. If we can't offer a solution, there's no charge! Solving your networking problem, hardware problems or software problems for your desktop PC. We've got specialists on-hand to help with any pesky Linux-related issues you might be having. Are you looking for Android repair? We carry out large number of mobile repairs every day and help you fix the device. Need more wireless access? Got a troublesome router? Let our engineers take a look and get a solution that's right for you! Do you need repairs or troubleshooting on your Apple device? Let us take a look for you and help get you up and running again! We will even bring your new system to you to get it all set up at home, make sure you have printers installed and ready to go right out of the box! When it comes to gadgets and gizmos, we love all things tech. 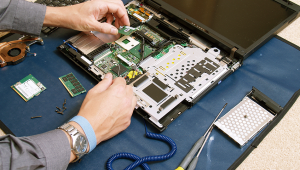 We fix all electronic devices such as phones, tablets, PCs and even your gaming consoles. Whether you accidently dropped your iPhone from your pocket while boarding the bus or a train or you have had your system ravaged by an evil virus, you should not worry. Primary PC is here to help get your devices back up and running! Do I need to book an appointment? Not at all, please feel free to drop into our repair centre anytime between 9 and 5 Monday to Friday and one of our friendly staff members will be more than happy to discuss any issues you may be having with your machine. Do you sell secondhand laptops/desktops? Generally speaking we do not. We prefer to sell factory reconditioned units rather than secondhand machines. The simple reason being reliability, the factory reconditioned units come with full warranty as well, meaning that if any of the hardware fails within the warranty period, we can still get those components replaced or even the entire machine if needs be. How long do your repairs generally take? This does depend entirely on the issue at hand but usually, even issues that require us to buy in parts to replace, they will take less than 3-5 business days from the time we get them on the workbench to completion with the majority of repairs being completed within a day or so. Do I need to bring my own laptop charger? It would be incredibly helpful if you were to bring your own charger for your laptop, as there are so many different connectors, voltages and amperages we cannot keep a supply of all known laptop chargers. Please do supply your own charger when you bring your laptop in. Do you do call outs? Absolutely we do! We would recommend that if possible it would be better for us to have the computer in the shop with us, however this isn’t always possible and so we can make an appointment for an engineer to visit you at home. If you need to reschedule or cancel an appointment we would ask that you give as much notice as possible. Are you in a computer crisis? Took my mac pro here to get cleaned up, its like new again and the Proprietor said that it didn't take long to do so we can't justify charging you. Unbelievable, you would not get this first class service any where. thanks guys, I will definitely be coming back and recommending you to friends and family. Great service provided by this company. Spent time diagnosing issue with laptop I use for business and installed new hard drive to a tight deadline whilst I was in Helston on holiday. Both members of staff I spoke with were knowledgeable and very polite. Also a very reasonable price. Overall excellent experience. Excellent, very friendly and prompt service fixing my sons laptop. I was listened too, no fuss made, job done. Great rates. Very Happy. Wouldn't go anywhere else! Thank you. Top service would highly recommend them, they looked after me when my PC crashed and they're still looking after me...... Service second to none. Looking for Business IT Solutions? © 2019 Primary PC Retail Ltd. All rights reserved.